For over 10 years, Elite Web Solutions have developed hundreds of websites for small to medium businesses. 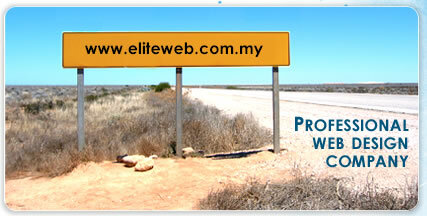 Founded in 2005, Elite Web Solutions is a boutique web design company based in the very heart of Kuala Lumpur, Malaysia. We recognize that every small business begins with a dream and a passion to succeed. We realize that it also takes a great deal of time and energy to make that dream a reality. That's why we're here, to help small businesses succeed and to improve the personal lives of our clients. We like to get to know our clients. Some of our longest-standing ones have been working with us for more than 10 years. We work with mostly local SME companies and to improve their sales by designing effective informative corporate websites. We provide an array of low-cost web design services. Elite Web Solutions provides the tools and resources small businesses need to succeed. Our clients are able to track their website through our website statistics. Elite Web Solutons believe in the power of human connection and service. We believe real websites should generate visitor traffics hence generating leads to our clients. We believe our customers should feel at ease and hassle free using our sevice. For inquiry on price or free consultation, please give us a ring to Mr. Teh at 03-2144-9128 or fill up our sales form.